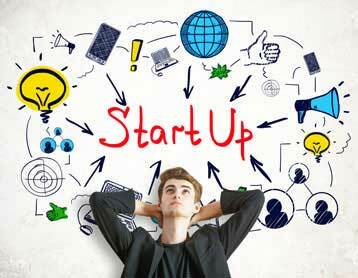 Startups are the best places to be – full of energy, passion, dedication and embodying a never say die attitude. In addition to having a long term vision and a credible business objective, a startup needs a robust IT infrastructure setup for business as well. The best part of having a startup is the ability to incorporate the cutting edge paradigms and tools that the industry or technology has to offer. At HEX64, we provide the expertise backed by our wealth of experience to build the best IT architecture setup for business. We operate with cutting edge technologies related to the domains of Cloud Computing, Virtualization, Network Security, VPN, Servers, Applications, Databases or End User Services. We help set up for you a robust and high speed inhouse data centre in the form of a LAN/WAN architecture with effective backup and data recovery strategy. By leveraging the benefits of advanced Cloud services such as SaaS, PaaS, or IaaS, we help the IT infrastructure for startups gain efficiency and improve productivity – the prerequisites to become a smart and productive organization. We help to build a robust IT Infrastructure for startups at your facility by encompassing technologies such as a VPN or L3 MPLS. The secure and smart office connectivity network will enable a seamless and encrypted communication between the various business functions as well as employees. Our experienced team of IT engineers will always be at your beck and call to provide a 24 x 7 backup support (remote and inhouse), for we understand the critical role a functioning small business IT infrastructure service can play in your business. We learn about your business requirements and suggest a suite of technologies that are robust, efficient and cost effective. We prepare a roadmap to set up the IT Infrastructure in terms of networks, hardware and software. We establish the physical IT architecture setup for business at your facility with the requisite backup and data recovery strategy. We carry out testing of the IT infrastructure including penetration testing for data security. We provide a 24 x 7 remote or inhouse backup facility.